"Please enjoy Taste of Hagi of authentic salmon that is suitable to serve guests coming from all over the country. 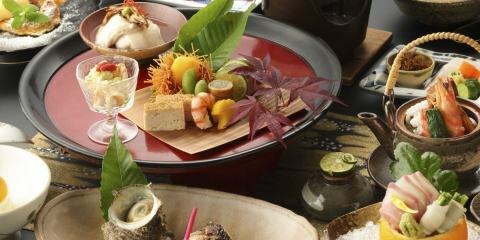 We are responsible for offering cuisine suitable for the feast of the guest house in Hagi. 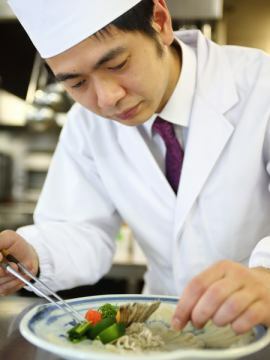 I believe that seriously facing materials and offering top quality dishes with fine materials. Continue aiming for a culinary delight that further protects the established tradition. I joined Yamaguchi food store and actively incorporated ingredients from Yamaguchi Prefecture. In June 2005 I received the Yamaguchi Prefectural Governor 's Commendation as "Excellent food sanitation facility". For dinner, room meals are basic. Do you not like what you are bad, do not eat, do not have any allergies? 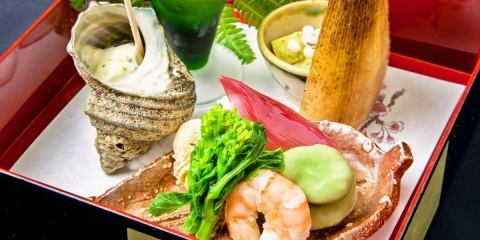 Spring's TOMOE Festival cuisine cuisine incorporating not only fresh local fresh seafood but also wild plants such as wild vegetables. We are particular about bowls such as Hagi ware and Arita ware. Fresh fresh local vegetables to seafood, including sea cucumber. 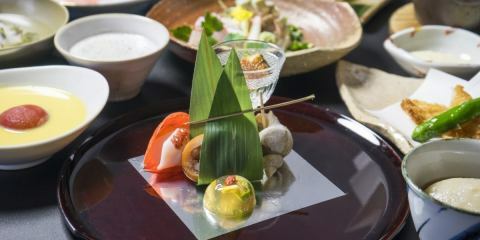 Summer party cuisine of TOMOE full of carefully selected summer material. 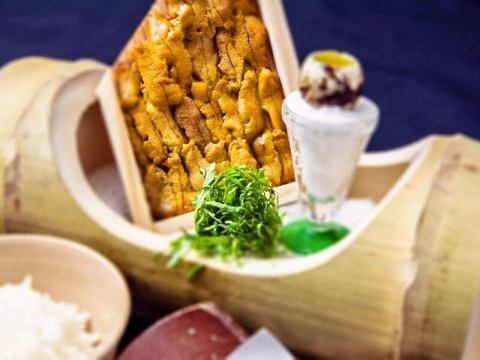 Autumn's TOMOE Farewa cuisine cuisine with plenty of taste of autumn's passion, such as returning bonito with plenty of grease and aroma of savory baked miso's appetizing appetite. Please enjoy delicious winter gastronomic selection, such as Hagi Specialty fuku who will celebrate the season from autumn to winter, thick fat with sweetness comparable to Toro, and black. Yamaguchi 's winter taste Yamaguchi fuku. 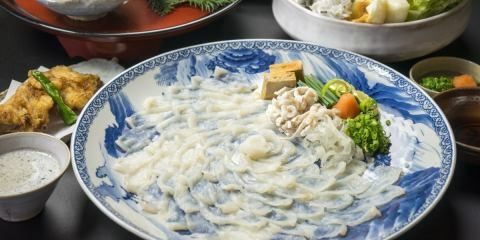 It is called "Fuku" in authentic Yamaguchi because it is connected with "Fuku" and has good auspiciousness. Sashimi putting a sigh on the artistic way of life turns everyone into a smile in a moment and carries the moment of being "Fuku" indeed. A gorgeous pale-red appearance reminiscent of cherry blossoms. It increases soft texture and chews.Relaxed sweetness. 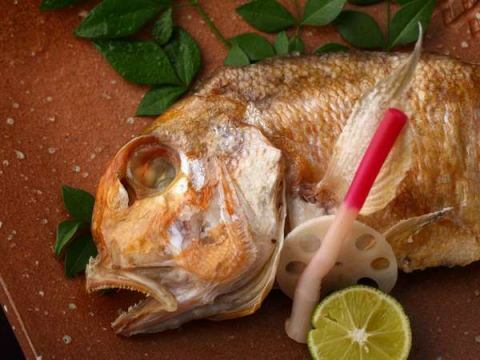 Sweet bream can be deliciously enjoyed almost all year round. 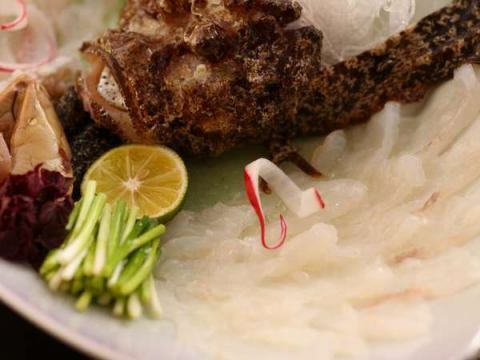 Sweet bream, which is taken off the coast of Mishima the off the coast of Mishima of sea near Hagi the sea near Hagi, is a kind of eating and drinking which is distributed as luxury goods. 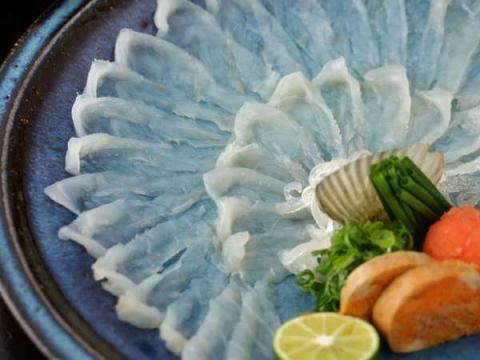 It is indispensable seafood in talking about Hagi. We are preparing at our inn, the most delicious oniocoze among the peers. It is fresh finest goods which are landing directly in off the coast of Hagi, sent directly. Please enjoy the taste of the illusion said to be "Fushigi of summer". Murasaki Sea Urchins, Bahun'uni, Crooni. Sweetness and rich richness are exquisite.It goes without saying that the freshness is good. Please enjoy deliciousness spreading in your mouth as much as goblies. 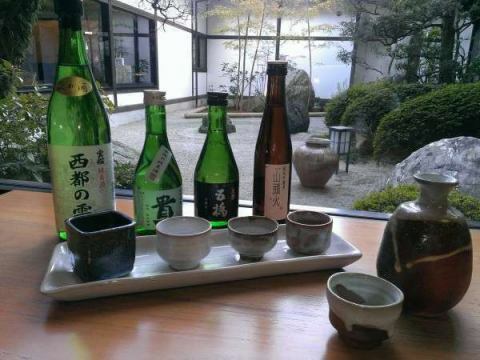 How is a delicious local sake to suit a delicious meal? Hagi is the origin of sake brewing in Yamaguchi prefecture. Beautiful water and delicious rice essential for sake brewing, and sake brewed in rich nature and history make Hagi's traveling more enjoyable. Choyo Fukumusume who is famous in the market of Hagi and Kiyomi Minamino sake. Above all, Kiichiro is dry jun rice sake of outstanding workmanship. dry jun rice sake of refreshing spout with a light Mi. Good refined rice ginjyo wrapped in a little Ginsaka. 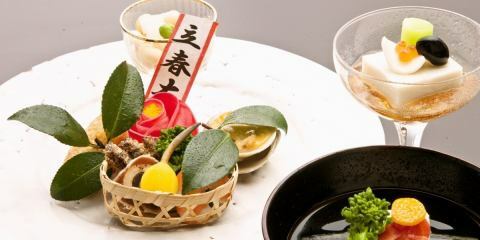 Representing the season of Hagi that the chief chef himself felt on his skin with cooking. That is passion for the food of TOMOE. While feeling each season, I think it is important to make dishes that you can enjoy even if you see it or eat it. That is to make the appearance and taste of the cooked food in story. We use fish from Hagi's stuff and vegetables delicious at that time of the Japanese domestic production. We continue to offer seasonal ingredients in the best recipes every season.